Couture Motors have sponsored a team in the Cercle Ouvrier Bowling League continuously for years and continues to do so. The team name is “Couture Motors” and Denis Couture has been a member of the team for all 56 years. In 1952-53, Harold was appointed Publicity Chairman for the Winnipeg Bowling Association, a position he filled for six years. During this period he edited the Annual Year Book. He was elected Secretary of the Winnipeg Bowling Association in the 1954-55 season and served in this position through the 1956-57 season. During his six years of office in the Winnipeg Bowling Association, Harold compiled regular write-up’s for inclusion in the daily papers. After leaving the Association, he continued to write on the sport of bowling with a column titled “Write Up Your Alley”, appearing three times a week in the Winnipeg Tribune. Harold is still active in the Sports scene, both on radio and writing. The Sport of Tenpin Bowling appreciates Harold’s many contributions to its promotion and development. Rube came to Winnipeg in 1919 and in the 1920’s, Rube began bowling with the Optimist Club League. Rube also bowled at Prince Edward Alleys on Portage Avenue in the 1930’s. He was an avid bowler and over his lifetime had two “700 Series” to his credit. Every year at his own expense Rube fully sponsored his team to the ABC National Annual Tournament. Rube was also named a Life Member of both the Winnipeg Bowling Association and the Winnipeg City Senior League. His personal contribution and support to the growth of tenpin bowling is greatly appreciated. During his career in journalism, Gene Telpner has been a lecturer, world traveler, note columnist, author, news analyst, television and radio personality. Gene was born in Omaha, Nebraska where he worked as a sports columnist for the Omaha World Herald after serving as a captain in U.S. Air Force in World War II. Gene Telpner moved to Winnipeg in 1950 and soon after became a Tenpin Bowling Co-proprietor of the Bowl-Arena Alleys at 309 Edmonton Street, with Dave Shuckett. The Bowl-Arena held several promotions such as the “Strike It Rich” and “Bowl-A-Car”. In the early 1950’s Gene began writing a weekly bowling column for the Winnipeg Free Press called “It Strikes Me”. From the late 1950’s to the early 1960’s he also had a weekly radio bowling program on which he hosted from his own home. Gene also hosted the “Bowling For Dollars” show and was guest speaker/announcer at many tournaments both in Canada and the United States. He even organized train trips to bring groups of bowlers to out of province tournaments. In 1968, Gene became founding President of the Canadian Bowling Press Association. He also held the position of President with the Winnipeg Press Club and the Canadian Bowling Sports Writers Association. In addition, Gene was a daily columnist with both the Winnipeg Tribune and Winnipeg Sun. Gene Telpner’s contribution to the promotion and betterment of tenpin bowling over more than 30 years through the mediums of print, radio and TV is immeasurable. His dedication and support to our sport as an influential leader in sports journalism is recognized as playing a major role in its growth in the late 1950’s to early 1970’s. Gene is best known to Manitoba’s bowling community for his Winnipeg Free Press column “It Strikes Me”, although he has also been recognized for his contribution to various charities, humanitarian and community services especially the Variety Club of which he was the President and Founder of the Manitoba Chapter. His years of journalism also allowed him an opportunity to meet many celebrities and world figures such as Chaing Kai-Shek, Golda Meir, John Wayne, Princess Grace, John Deifenbaker, Alfred Hitchcock, Jimmy Stewart, Henry Fonda, Bing Crosby and Lucille Ball to name a very select few. Gene and his wife Fitzi, currently reside in Winnipeg, where he freelances for the Jewish Post and News. Al Vickery has been a bowler for 50 years. Upon retirement from a rewarding media career, mainly Canadian Press and Local T.V. news, Al started a Bowling Column for the Free Press, which he continued for 10 years. He left Winnipeg and spent three years in Vancouver, but he couldn’t shake his love of bowling and bowlers. He returned and picked-up the Free Press Bowling Column as if he’d never been away. Al is an Honorary Life Member of both the Winnipeg Bowling Association and the Greater Winnipeg Five-Pin Bowling Association. The Canadian German Society was incorporated as a non-profit organization in 1906. The first tenpin bowling lanes were build in 1928. In 1948-49 the old building was expanded and four additional lanes were added. In 1986, an eleven story seniors residence was built behind the original club and six new lanes were incorporated in the lower level of the development. – Donated $1,000.00 scholarships annually for the aggregate winners of the Senior Scratch Open for the past seven years, in addition to a $500.00 scholarship to a youth bowler who scored his first 300 game. 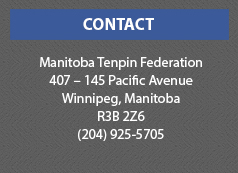 For its long (70 years) ongoing support towards the growth, development and promotion of tenpin bowling, the Canadian German Society has been awarded with the Bowling Hall of Fame of Manitoba “Certificate of Appreciation”. The Bowling Hall of Fame of Manitoba, the local and provincial bowling associations wish to thank Canadian German Society for its ongoing assistance and looks forward to maintaining our strong relationship with them far into the next millennium. Raymond began bowling in the late 1930’s and was immediately hooked on the sport. He was one of the driving forces in the installation of four bowling lanes in the Cercle Ouvrier Club on Cathedral Avenue in St. Boniface. The club was lost in a fire in early 1939, but was quickly rebuilt and expanded to six lanes the same year due to the efforts of Raymond who was at that time club President. An additional three lanes were added in 1947. Under Ray’s guidance the bowling club was so popular that during the late 1940’s and early 50’s this small club was acknowledged as having the largest men’s tenpin bowling league in Canada with 32 teams. When the Cercle Ouvrier Club was demolished in 1965, Raymond was a strong advocate in getting Le Club La Verendrye to install an eight lane center. In 1971 the lanes were built and boasted having the 1st tenpin automatic scoring system in Canada. Raymond was always promoting bowling as a friendly pastime, encouraging and recruiting new bowlers for various leagues at both the Cercle Ouvrier and Le Club La Verendrye. His efforts to fill teams for league play were sometimes unusual by today’s standards. When a team was short a man or two, Raymond would actually go down the block knocking on doors and bringing bowlers back to fill the sports. Raymond’s methods were not always so unorthodox; as he and his good friend Charles Dufault created the Dufault Good Will Trophy. This trophy was a “Challenge Cup” that was competed for during the late 1940’s and 1950’s by different teams throughout the province. As a bowler, Raymond had many successful seasons during his 30+ years in the All-Star Senior League and Winnipeg Senior Tenpin League on the team he formed called “Cathedral City”, later named “Kiewels” (Brewing Company). He also attended a few ABC Annual Tournaments, specifically the one held in St. Paul, Minnesota in 1956. Although, Raymond never served on the Winnipeg Bowling Association Board of Directors, he was given the rare honor of being named as a “WBA Honorary Life Member”. This was a privilege usually reserved for past board members with several years of service, however, it was bestowed on Raymond in acknowledgement of his many contributions to the promotion and development of tenpin bowling. Raymond Roy passed away on his birthday in April, 1976 (Good Friday) at the age of 74. Charles Ritchie Gibson was born in Hamilton, Ontario in 1881. Charles was one of the founders of organized bowling in Winnipeg and Manitoba and did much to foster the game in Western Canada opening several centers from Fort William/Port Arthur (Thunder Bay) to Vancouver. 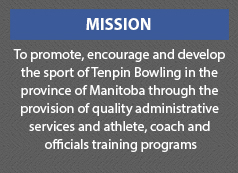 He set up his first Tenpin Bowling Centre (Saratoga Alleys) in Winnipeg on October 4th, which had 5 lanes. W.V. Thompson (Champion bowler of America) was on hand to promote the Grand Opening and initiated the formation of organized leagues. Charles was the first to be named a Honorary Life Member of the Winnipeg Bowling Association in 1918. In addition to being one of the founders of organized bowling in Winnipeg, Charles was also one of the city top bowlers during these early years. Charles Gibson passed away on April 14, 1956 in Vancouver at the age of 75. Ted Hart, born Theodore Spivak in 1909 in the town of Brooklands (later absorbed by St.James -Assiniboine). Ted took over Gene Telpner’s bowling column “It Strikes Me” in 1968 as a freelance writer for The Winnipeg Free Press and served in that position for the next thirteen years. Even though he worked for The Winnipeg Free Press, Ted would also drop off tournament results and league stats at The Winnipeg Tribune to ensure full coverage and better serve the bowlers. Bowling was one of Ted’s passions. He loved the sport and enjoyed covering the tournaments. Ted was a common figure at the lanes observing the competitions, gathering results, conducting interviews and arranging photo-shoots. He made many friends over the years as he covered the events and accomplishments of our bowlers, becoming a household name in the bowling community. Ted’s enthusiasm and support for tenpin bowling was evident from reading his regular columns. These articles served to promote our sport and keep all bowlers well informed of current bowling events and happenings in our province and abroad. After retiring from writing in 1981, Ted continued to bowl and at the time of his death he was competing regularly in five bowling leagues (3 tenpin and 2 fivepin). Ted had a reputation as an avid bowler and one that could hold his own on the lanes. The Manitoba Sportswriters and Sportscasters Association, recognizing Ted’s contribution and dedication, presented him with the “Good Guy Award” for his many years of co-operation and service with the media in the field of public relations for bowling. Ted had many other interests that he pursued: he served on both soccer and five pin associations; he played the flute for Ulster Volunteer Board and the Royal Canadian Engineers; and he loved jazz, sporting an extensive collection of vintage records. Ted passed away in Winnipeg on January 11, 1982 at the age of 72. 1922 – The Native Sons of Canada was established in Victoria, B.C. Several branches emerged throughout the country. 1927 – Assembly 127 of St. Boniface was formed. Early 1930’s – The Native Sons formed and supplied the startup funding for Club La Verendrye organization, and continued to fund them until the early 1970’s. 1939 – The Native Sons was a men’s organization and bowling was adopted as one of their recreational activities. The “Fils Natif” team was formed and competed out of the Cercle Ouvrier (Circle O) Bowling Centre on Cathedral Avenue. Early 1940’s – Thanks to financial support from the Native Sons a building was constructed on Provencher for the Native Sons / Club La Verendrye, which is still opposite the St. Boniface City Hall today. 1966 – The Cercle Ouvrier Bowling Centre was taken down, so the team continued their bowling at Chateau Lanes until 1971-72. Early 1970’s – A new and younger Native Sons / Club La Verendrye Board was formed and they decided to build a new building at 614 Des Meurons with 8 bowling lanes. 1972 – Construction was completed and the organizations now had their own bowling center and most of the old league members came to bowl in their new home. 1993-94 – An additional 8 lanes were built making Club La Verendrye a 16 lane house. Since its inception in the late 1920’s the Native Sons have promoted tenpin bowling through the sponsorship of several bowling teams and the establishment of the Club La Verendrye Bowling Centre. They also furthered the development of our sport by providing assistance to provincial and national team qualifiers throughout their operating years. Club La Verendrye Bowling Centre. The St. Boniface Branch is the only remaining Native Sons organization still in existence today. Helen started bowling in 1974 when her family moved to Brandon from the farm. A friend of hers asked her to come and try tenpin bowling in the Going 75 Ladies Afternoon league at Thunderbird Bowl. It did not take Helen very long to get interested in bowling and in 1979 she took over as secretary of her league, when the current secretary had to resign. Helen kept that position (except for 4 years) until the league disbanded after the 1999-2000 season. In 1995 the league combined secretary with treasurer and she continued to do double-duty. In 1989 Going 90 Ladies celebrated their 20th Anniversary. For this event Helen compiled a booklet with all league information that went back to the inception of the league. A copy of which was presented to all league members past and present. Also, for the anniversary, she organized a banquet and all sorts of special events for the year. She contacted all past bowlers and invited them to attend the celebrations. Every year since that time, until the league disbanded, she added all league information so that the book would be up to date. In 1992, the league was in danger of folding, because of lack of interest. Helen got on the bandwagon and recruited new members and got the league up to six teams. Helen single handedly kept the league going. Her league was comprised of mostly retired ladies, who are not competitive and each year she worked hard to convince them to join the association and sanction. In 1980 she also started bowling in the Lucky 7 Ladies League on Tuesday afternoons and did so until the 1999-2000 season. Helen always supported all of the Brandon Women’s Bowling Association Events. She canvassed her leagues for every tournament we had and attended most of them. In 1990 she won the inaugural Bob Hack Memorial Senior City Singles. You could always count on Helen to attend all Association Meetings and was one of the association’s most tireless workers. In 1999 Helen was inducted into the WIBC Association Hall of Fame for all her contributions to our Association. When Helen was informed that she had been inducted into the Bowling Hall of Fame she told me a story about the first year she bowled. She had attended the captain’s meeting and the league was looking for a President and someone asked if she would be interested. She exclaimed that she was just introduced to the sport and even so she would never consider president as she felt secretary was more her speed. Three years later she took over as secretary and she soon found out that they do an awful lot more work than the Presidents do. Helen still continues to bowl recreationally every Thursday throughout winter with some of her old league friends. 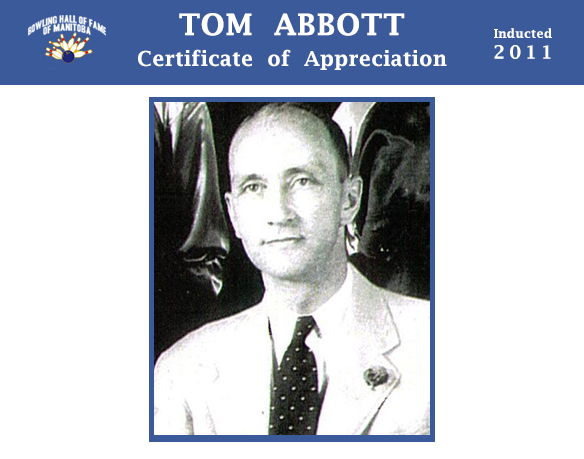 Tom Abbott was born in November 13, 1898 and served as the Manager for Brunswick of Canada for Manitoba, Northwestern Ontario & Saskatchewan for both Five & Tenpin Bowling for over 30 years from the 1930’s to 1961. The Brunswick office was located at three different locations over the years, however during the early years it operated out of 92 Arthur Street. The establishment of Empress Lanes with its new automatic pin-setters was a novelty and became an exciting place to be, which helped foster new bowlers. Tom would often come watch league play and during which, he saw the need for serious instruction to foster further enjoyment, develop the skills of the bowlers and secure their continued participation. Tom generated new interest in our sport by offering fun events to introduce new prospective bowlers to the benefits and enjoyment of tenpin bowling. Tom also sponsored several tournaments and supported other events by providing Brunswick balls, bags, shoes and bowling passes. Besides working for bowling, Tom was an avid bowler, competing in several leagues and tournaments with moderate success, in addition to attending a few ABC Annual Tournaments with his Winnipeg squad. After his retirement in 1961, Tom continued to bowl recreationally in a Chateau lanes League with his wife Corona. It is felt that his sincere interest and passion for the sport and its development went beyond his professional obligation as a Brunswick representative, which included hearty encouragement and many lasting friendships with those that knew him. Tom Abbott’s efforts are recognized as having a substantial influence on the degree of success our sport had for many years after his passing on November 20, 1987 and we owe him much for the level of continuity we currently enjoy today. Peter was involved in the construction of Valley Bowl in 1963. He started Bowling in 1974 in the Monday Night Mens League on Team Blue. In 1978, Peter became a partner (with Ernie Friesen) and co-proprietor of Valley Bowl and remained active in promoting the sport and endorsing sanctioned leagues until selling the facility in 2008. 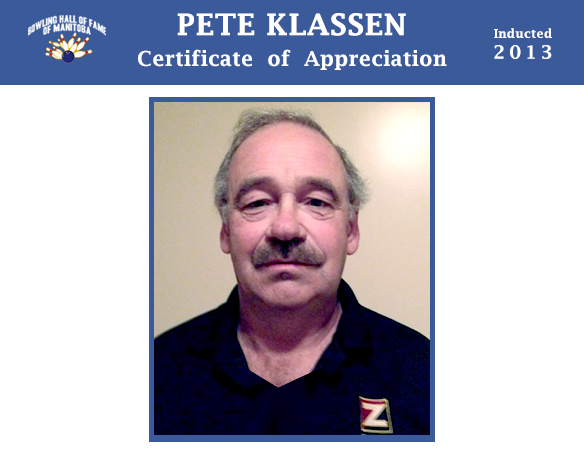 During those 28 years as proprietor, Peter oversaw all operations implementing many promotions and hosting countless clinics, programs, leagues & tournaments. Such as hosting and participating in the Valley Bowl Open for many years, supporting the MBA Odaguchi Senior Scratch Tournaments. Both Peter and Ernie saw that there was a need to grow the bowling population in their area, and addressed the situation by adding a survivor league to the league roster. The plan worked, drawing in many new Junior Bowlers. He was the only coach in the beginning, but as the program grew, a few more coaches were added and trained. Peter remained as Head Coach of the Youth Program for over 30 Years. When Peter’s business partner Ernie Friesen, passed away in the late 1990’s, his wife Marge and children became more involved, helping with maintenance, front desk, administration, coaching, encouraging & recruiting many of their friends to join leagues and the youth program. In time, his sons Clint and Darren took the coaching to the next level, along with assistance from their sisters Darcie and Cherie. These efforts yielded several other bowlers who went on to excel at the National and International levels. Peter went with his kids to all their National and International Events. As coach or not, he still coached the kids after bowling at tournaments. After a couple of years, when the junior program took off, Peter decided to add another program, which became his passion. He implemented a Special Olympics program, which was well supported by the bowling community. On most Thursdays, there were over fifty bowlers participating in this new program, which still continues to thrive to this date. Soon there after, Peter started coaching in the Special Olympics program and had some great successes with them at provincial & national tournaments. Peter’s children have all been to National and International tournaments, which has been one of the highlights of his life. He got to witness them interacting with bowlers from around the world, many of whom also became their friends. At dinner time in the Klassen household, discussions were always the bowling talk, whether giving advice or getting it. Peter lived, breathed and loved it; and yes, his wife also bowled. Peter eventually became the liaison with a few of the Provincial Associations for all activities in the Winkler area and soon served for several years on a couple boards primarily as the proprietor of the bowling centre, since he was in charge of all tournaments & leagues for his house.